Award Year: 2013 Obesity has risen dramatically in the U.S. in the past thirty years. Today, 35.7% of all adult Americans are clinically obese. Obesity-related illness costs $190 billion annually (or one out of every five dollars spent on health care) and is responsible for 365,000 deaths per year in the U.S. Compounding these problems, obesity exacerbates socioeconomic and racial disparities in the U.S.; for example, it is far more common among African-American women (58.6%) than white non-Hispanic women (33.4%). For these reasons, preventing and reducing obesity is a top priority of the U.S. Surgeon General, the Institute of Medicine and the Robert Wood Johnson Foundation. This research project will culminate in a book that uses the theory and methods of economics to: 1) measure the extent to which prices and incentives contributed to the rise in obesity; 2) calculate the financial costs of obesity; and 3) demonstrate how public policies can change prices and incentives in order to prevent and reduce obesity. A wide range of policies will be examined, including taxes on high-calorie foods and financial incentives for weight loss. The project is significant in its potential to provide important insights into the causes, consequences, and possible solutions to one of the most important public health problems facing the U.S., is innovative in its use of an under-utilized perspective (economics) to gain important insights into obesity, and is policy relevant in its ability to explain how public policies can be designed to alter prices and incentives in order to reduce obesity. This three-year project will produce a book, a series of journal articles, a blog, and a massive open online course (MOOC). John Cawley is a Professor in the Department of Policy Analysis and Management, and the Department of Economics, at Cornell University, where he co-directs the Institute on Health Economics, Health Behaviors and Disparities. In addition to his affiliation with Cornell, Dr. Cawley is a Visiting Professor at the School of Economics and Charles Perkins Centre of the University of Sydney, Australia, an Honorary Professor in the J.E. Cairnes School of Business and Economics at the National University of Ireland, Galway, a Research Associate of the National Bureau of Economic Research (NBER), and a Research Fellow of the Institute for the Study of Labor (IZA). Dr. Cawley's primary field of research is health economics, with a focus on the economics of obesity. He studies the economic causes of obesity, the economic consequences of obesity, and economic approaches to obesity treatment and prevention. Examples of research projects include: the effects of food advertising on diet and of income on weight; the impact of obesity on labor market outcomes such as wages; the effect of physical education on youths; and the effectiveness of financial rewards for weight loss. His research has been published in the American Economic Review, Review of Economics and Statistics, Journal of Health Economics, Health Economics, and many other peer-reviewed journals. He is also the editor of the Oxford Handbook of the Social Science of Obesity. His research has been supported by grants from the National Institutes of Health, the Robert Wood Johnson Foundation, U.S. Department of Agriculture, and other sources. He has served on expert panels and advisory committees for the Institute of Medicine, Centers for Disease Control and Prevention, and other government agencies. Dr. Cawley's research has been widely covered in the media, including stories in The Economist, Wall Street Journal, Financial Times, New York Times, Business Week, Forbes, Scientific American, and the Chronicle of Higher Education. Dr. Cawley is the recipient of the John D. Thompson Prize for Young Investigators from the Association of University Programs in Health Administration and the Charles C. Shepard Science Award in Prevention and Control from the Centers for Disease Control and Prevention. He also was awarded the Kappa Omicron Nu / Human Ecology Alumni Association Award for Excellence in Advising of students at Cornell. Dr. Cawley serves as an Associate Editor of the Journal of Health Economics, Health Economics and the American Journal of Health Economics and is the former co-editor-in-chief of Economics and Human Biology. 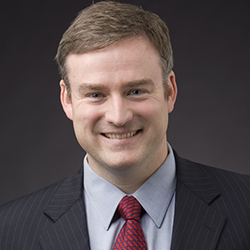 Dr. Cawley serves on the board of directors of the American Society of Health Economists (ASHEcon), the External Scientific Panel of the National Collaborative on Childhood Obesity Research (NCCOR), the National Advisory Committee of the Robert Wood Johnson Foundation Scholars in Health Policy Research Program, and the Scientific Advisory Board of the Behaviour and Health Research Unit of Cambridge University. Dr. Cawley received his Ph.D. in economics from the University of Chicago and his baccalaureate degree in economics from Harvard University.